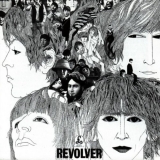 "Get your money for nothing and your chicks for free"
Revolver (this album) (1966), The Beatles Box Set (compilation) (1988), Rock 'N' Roll Music (compilation) (1976), Anthology 2 (compilation) (1996), The Beatles In Mono (compilation) (2009). Showing latest 5 ratings for this track. | Show all 886 ratings for this track. Related links: top tracks by The Beatlestop tracks of the 1960s, top tracks of 1966. For the first(and last time), a George Harrison song kicks off a Beatles album. And what a song it is. It's angry and vitriolic and Harrison is simply scathing about the amount of tax he has to pay in every English pound. It's an extremely powerful start to a stunning album with great lyrics, great vocals from George, and an absolutely blistering guitar solo from Paul McCartney, which all add up to make this a fantastic opener and one of George Harrison's best ever compositions. I wonder if The Jam ever listened to it? A very energetic start to the album! I feel bad for the guy who said this has nothing more than a cool bass riff and a little rocking guitar and yet gave it the maximum score. I wish he could see that all music has the potential to be more than just a bass or guitar part.